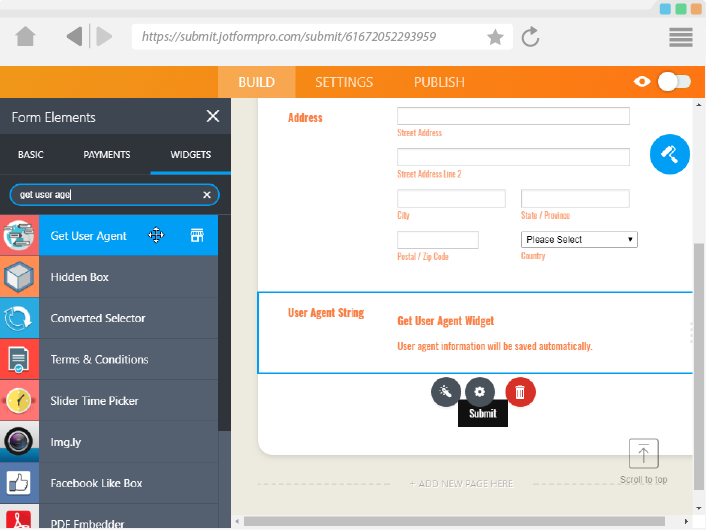 This widget grabs and saves the user agent information of your form users. This information is useful when troubleshooting issues, or when collecting information of what type of browsers and operating systems your form users have. 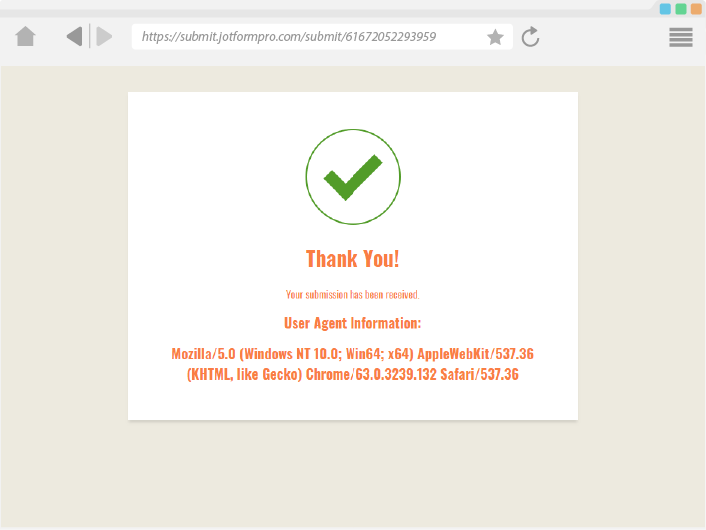 The widget requires no further configuration, and saves the user agent information automatically when the form is submitted. Doesn't work. Agree with above: useless. Works flawlessly. 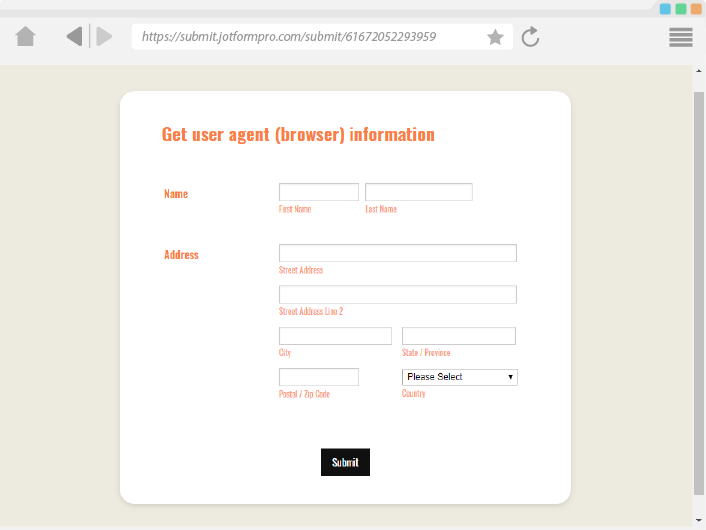 If you need to embed a form on a lot of pages and want to know what page a submission is send form. Especially useful for contactforms on storepages. Name may imply something different, but great nontheless.